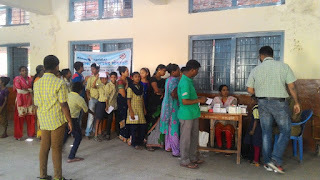 Organizing Health Camps is an initiative to improve the access of people to primary health care in slums and in villages. DBDS has entered into partnerships with local hospitals in conducting specialized health camps in the area of operations. We provide diagnostic services, Promotive and Preventive services, Curative services and Referral and follow up services.